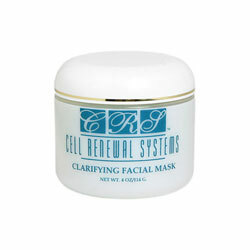 An all natural purifying treatment that draws impurities from deep within the pores. Lifts and tightens your skin as it builds moisture reserves, leaving your face feeling incredibly soft and radiant. Price: $14.00 from Rejenuve Inc. Synthesized for all skin types, even sensitive, our 10-minute mask balances natural bentonite minerals and kaolin clays to deeply purify and effectively absorb impurities.